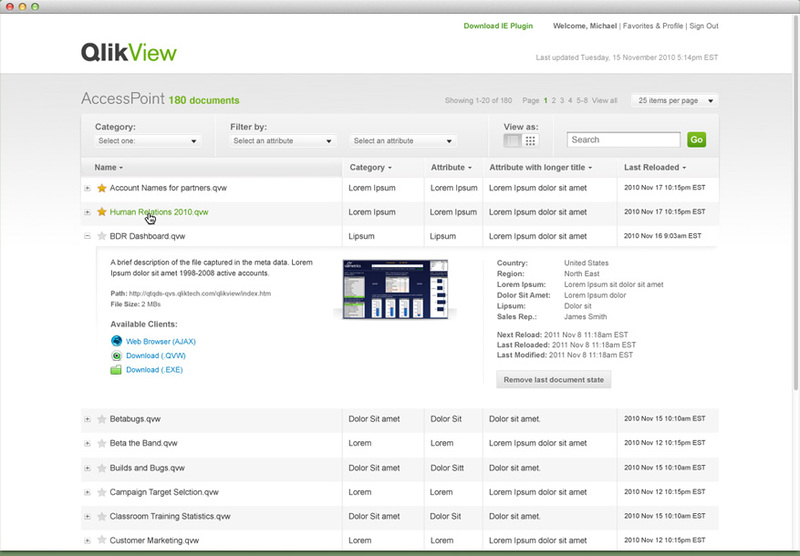 Redesigning QlikView Access Point, the repository for all QlikView applications. 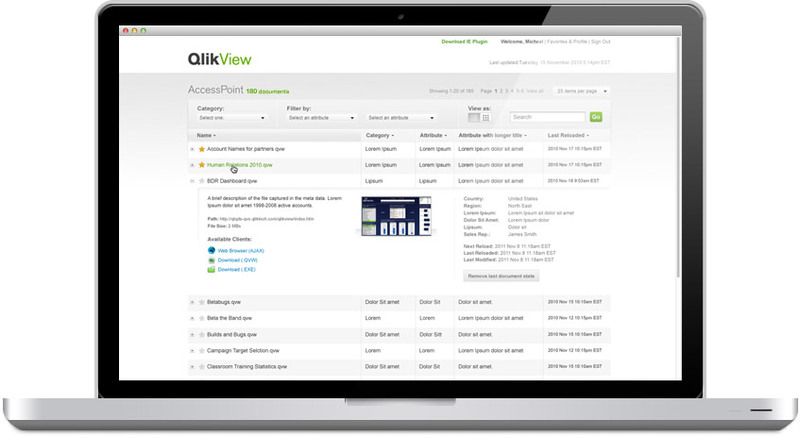 Access Point is the central repository for all documents in QlikView. 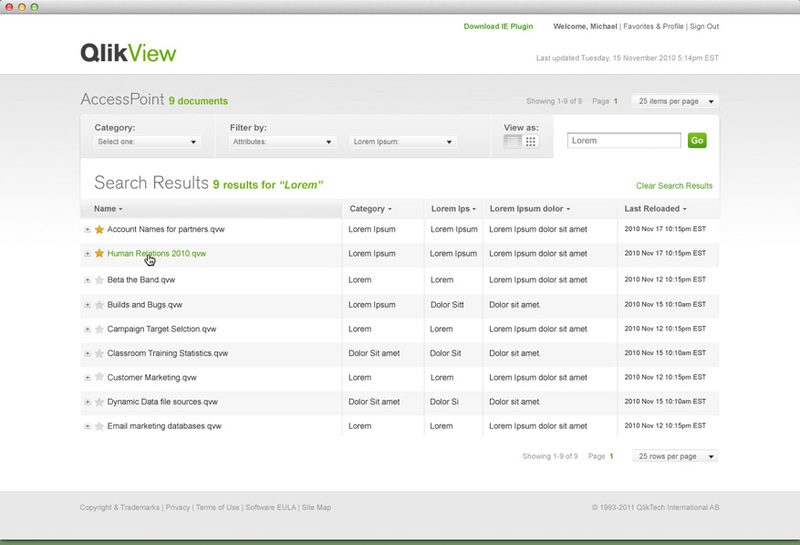 When new documents are created they are tracked and organized through Access Point. As such the number of documents it is organizing can add up pretty fast. I redesigned Access Point with a cleaner more “on-brand” aesthetic with a lot of new features that make organizing documents easier. 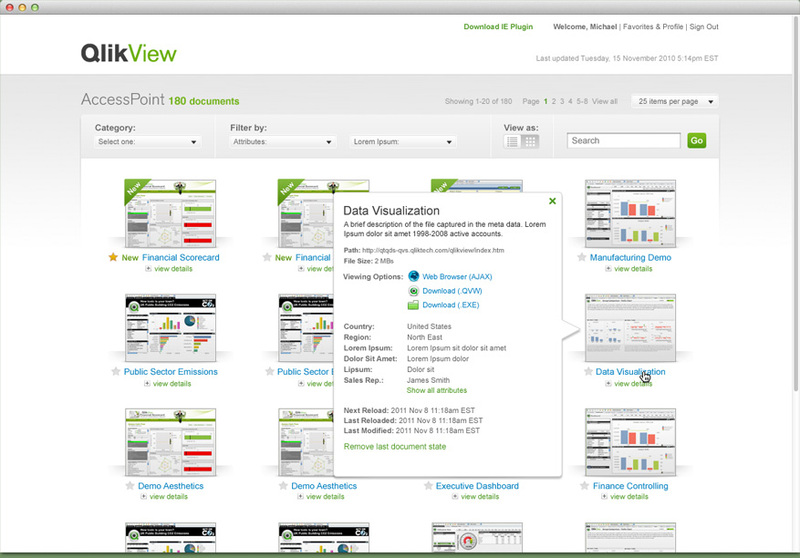 It is designed for desktop clients as well as mobile touch clients such as iPads and iPhones.